AndrewA86 wrote: Im planning a trip to SFGA and for the life of me I can’t find a decent cheap(er) place to stay. I know people will say to stay with choice but based on the reviews the choice hotels don’t look good. Econo Lodge is usually my go to but the one closest to the park sounds disgusting. Is this one of the times I’m just going to have to fork over a little more cash? Where have you stayed when visiting this park? Hi we have stayed at the Best Western in Bordentown many times. We usually can get in there for under $100.00. It has a decent breakfast and pool. The rooms were remodeled two years ago. Join us for the 5th annual food truck festivall with food trucks full of delicious treats from all over the world, plus beer! Food Truck area is open from 12 to 7 p.m. each day. Admission to the festival is included with theme park admission or a season pass. Food is available for an additional fee. Entrance to the event is located in Movietown. Discounted theme park tickets will also be available for the day. Discounted theme park admission tickets will be available for the event. Dump-N-Roll - The food you love, bite sized. Famous Chipotle Turkey Bacon Cheeseburger Wonton, Margherita Pizza Roll, Crab Mac and Cheese Egg Roll and traditional dumplings and spring rolls. Jersey Devil BBQ - Operated by a pit master and BBQ judge. All meats, baked beans and corn are smoked. Jersey devil barbecue foods are rich, tender, and bursting with flavor that you just can’t get from a grill. ^ We did the food truck event last year (or maybe the year before?). I don't recall anything special alcoholic drink-wise -- I think that's new this year? Unless it was a small beer tent --- i'm a cider and cocktail guy -- but there was a decent variety of food options and everything I ate was pretty good, though a bit pricey for the portions. My fiancee swears by and still talks about the GUAC SPOT truck, lol. Her favorite guacamole, and she loved the candied apple pork tacos. Mmmm. Seriously though, I love when parks do stuff like this. It's always a good time. Very intriguing. Some of those trucks sound delicious. So I'm scheming to go to the park (like 98% to take my sister on Kingda Ka; it's closer than Dragster), and I was thinking opening weekend as a surprise, but I was wondering what the crowds would be like and if everything would be open and running. Any insight would be much appreciated! Thanks! * The mac and cheese cone? * Anything with guac, although Avocado Ice Cream? That just sounds all sorts of wrong, but I would still try it! Can't wait to see the beer offerings! 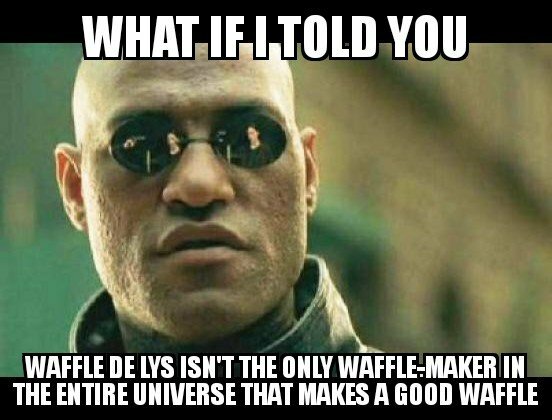 ^ Knew that was coming as soon as I saw "Belgian waffles" without Waffle de Lys being mentioned. Seriously WTF guys? I see some returning names but their omission is a crime. New applicants can walk in to the Employment Center without an appointment during regular operating hours, or visit one of two spring job fairs. The park will host its final job fair prior to the March 24 season opening on March 11. New applicants are encouraged to visit www.sixflagsjobs.com to complete an online pre-employment application, and rehires can complete their online rehire packet. Job Fairs on March 11 and May 12 from 10 a.m. to 4 p.m. All new applicants are welcome. Six Flags Employment Center. Employment Center Walk-Ins – Mondays to Fridays from 9 a.m. to 7 p.m., Saturdays and Sundays from 9 a.m. to 5 p.m. All rehires and new applicants are welcome. Six Flags Great Adventure’s Employment Center located at 1 Six Flags Blvd., Jackson, NJ 08527. Enter via Employment Entrance approximately one mile west of main park entrance.